Southampton took the lead on the 15th minute through a Davinson Sanchez own goal as the Tottenham defender steered a ball into his own net. Harry Kane equalised on the 18th minute as he latched onto the end of a corner to score his 99th Premier League goal. 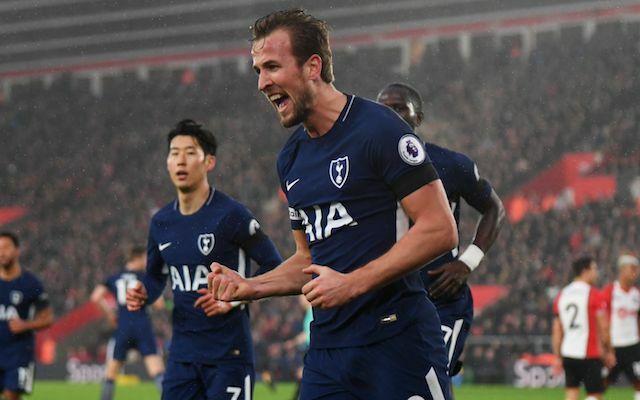 Tottenham were held to a point by Southampton despite Harry Kane registering his 99th Premier League goal. Tottenham now sit two points adrift from Liverpool who could extend their lead from fourth spot to five points if they pick up a win tomorrow evening. Southampton were gifted an early lead on the 15th minute as Tottenham defender Davinson Sanchez turned a low cross into his own net. The lead only lasted for three minutes as Harry Kane scored on the 18th minute with the England striker now just one goal adrift of the 1oo club for goals scored in the Premier League. Kane however had a glorious chance in the final few minutes to not only register his 100th Premier League goal but to also seal the three points for Spurs. The striker surprisingly dragged his effort wide despite his reputation as a clinical finisher as Tottenham had to settle for a point. Dusan Tadic was a threat throughout and started the move that lead to Southampton’s opener as he played a ball through to left-back Ryan Bertrand. Tadic caused problems all afternoon as he drifted inside on numerous occasion from the left-flank. Davinson Sanchez has established himself as a key member of the Tottenham defense since signing from Ajax in the summer. However, Sanchez had a dismal afternoon. Not only did the centre-half turn a relatively low-threat cross into his own net but he also struggled against the Southampton attack all afternoon with the Saints almost sealing the three points through numerous chances late on in the game. Although, Sanchez did redeem himself to an extent with a superb block on the 89th minute. Southampton: McCarthy 7, Cedric 7, Stephens 6, Hoedt 7, Bertrand 7, Lemina 6, Romeu 6, Ward-Prowse 7, Tadic 8, Hojbjerg 5, Gabbiadini 6. Subs: Davis 6, Boufal 6, Obafemi 7. Tottenham: Vorm 5, Aurier 5, Sanchez 5, Vertonghen 6, Davies 6, Dier 5, Dembele 6, Sissoko 5, Son 5, Alli 6, Kane 6. Subs: Trippier 5, Wanyama 5, Lamela 5. What a chance for Kane. What a miss for Kane.